Wow! Almost a month in Croatia and the weather is still amazing, which means that there's absolutely no reason to leave. We gave a presentation at one of the high schools in Pula! One of Iva's friends, Nataša, is a teacher. She teaches English in a high school and when she heard that we were in town, she asked if we could come in and talk a bit about our travels to her kids. That way they could get more exposure to native English speakers (that's me) and still have some link to Croatia (that's Neda). 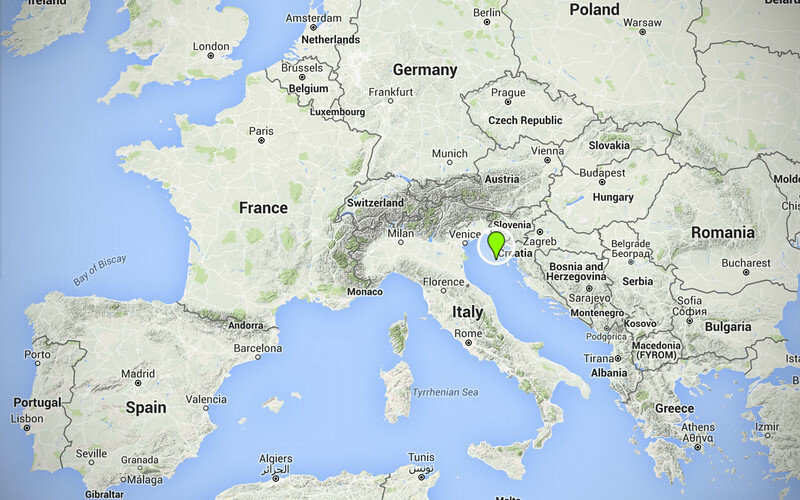 We've done a few presentations about our travels during the past few years. But talking in front of teenagers is very different than speaking to a group of adults. The biggest difference is their attention span. I found that you couldn't rely solely on the material to engage them. Especially not for 45+ minutes! I kept their interest up by asking questions like, "What's the weirdest food you've eaten? Here's a picture of some grasshoppers we ate. Oh yeah, I also ate brains in Mexico!" "EWWWW!!!" haha, kids are the same everywhere. The girls loved hearing Neda talk about how we met and about our relationship on the road. And they all loved hearing about and seeing pictures of all the animals we saw on our travels: giant turtles, camels, cobras, llamas, penguins, marine iguanas... I really like giving presentations to teenagers, they're so much more expressive in their enthusiasm. Nataša had to shush them a few times when the topics got very interesting! :) They were such a fun audience! I also like that we got to relive our trip all over again. We've been stationary for so long now, and still trying to decide if we should stop or continue. 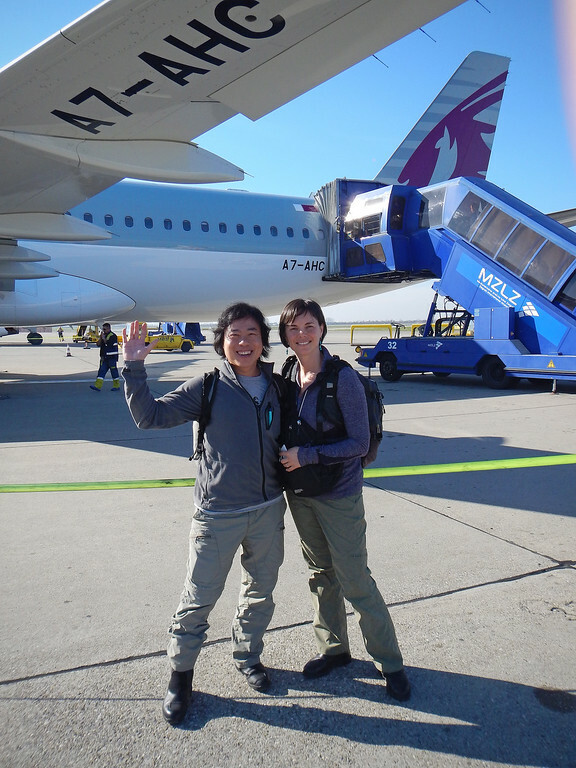 Talking about our experiences really got us excited about travel again, if only temporarily. I still kinda like not moving and not doing anything. Need more of that. 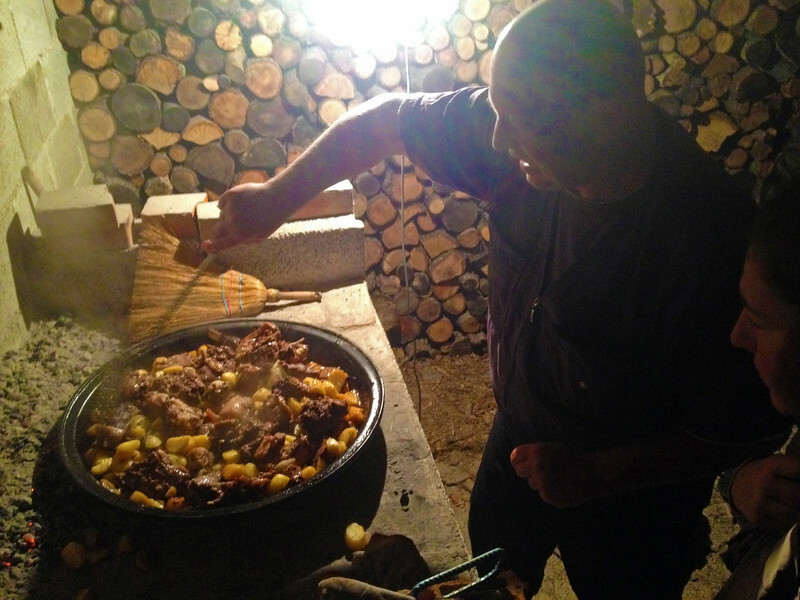 There is a unique Croatian style of cooking called "pod pekom". It involves baking food, typically meat and potatoes, in a ceramic dish covered by a cast-iron dome. 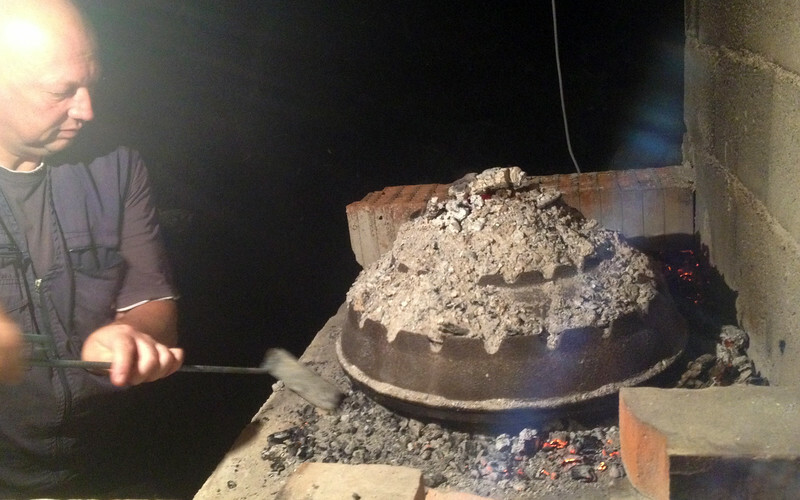 The domed lid ("peka") is then covered with hot ashes and the food inside is slow-cooked for well over an hour. What makes peka cooking so delicious is the lid is air-tight so all the steam and juices are locked inside. You don't want to peek too often "pod pekom" so you keep all the juices inside. Our food was ready in an hour and a half! 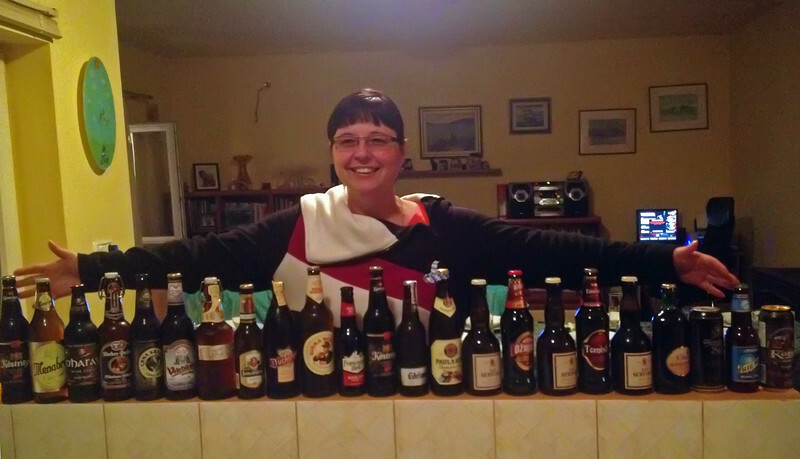 Meanwhile inside, Vedrana had the beer-tasting menu all set up :) Let the games begin! Iva lives just down the street from us in Medulin, so she's over all the time to hang out. One evening we got to talking about what she was going to do on her vacation time over the holidays. "I'm going to Thailand for a couple of weeks. I've been planning this trip for months! ", she told us with excitement. And then she added jokingly: "You should come too!" All conversation halted as Neda and I looked at each other with wide open eyes. We were both thinking the same thing. 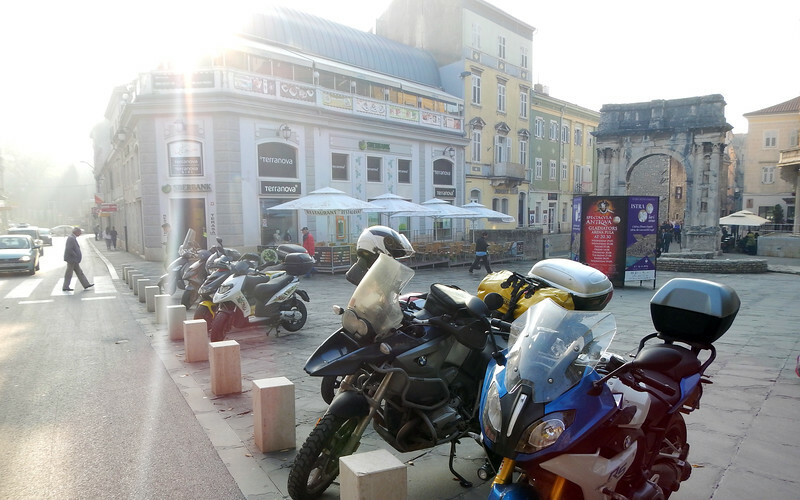 Why were we so fixated on staying with the bikes in Europe over the wintertime? Even in the most southern parts of Europe it's still friggin' cold! And we've heard that it's so much cheaper in Thailand than it is here, so at least our travel funds won't hemorrhage as rapidly over there. It just makes perfect sense. Iva looked at us incredulously. "Really? Just like that?" A few days later, we had booked ourselves seats right beside her on her flight from Zagreb to Bangkok. It's quite fortuitous that all of this is happening around Pula. 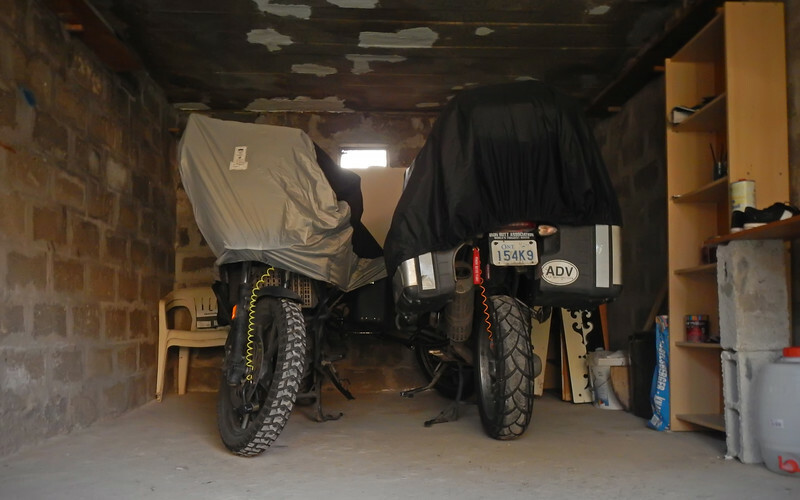 Neda has family here who have generously allowed us to store our bikes in their garage over the wintertime. We're normally so bad with bike maintenance. We've left our bikes behind a couple of times before to visit Toronto for a few weeks and we've always managed to come back to flat batteries. So this time we're going to do things right. I picked up a couple of battery tenders and bought some fuel stabilizer. 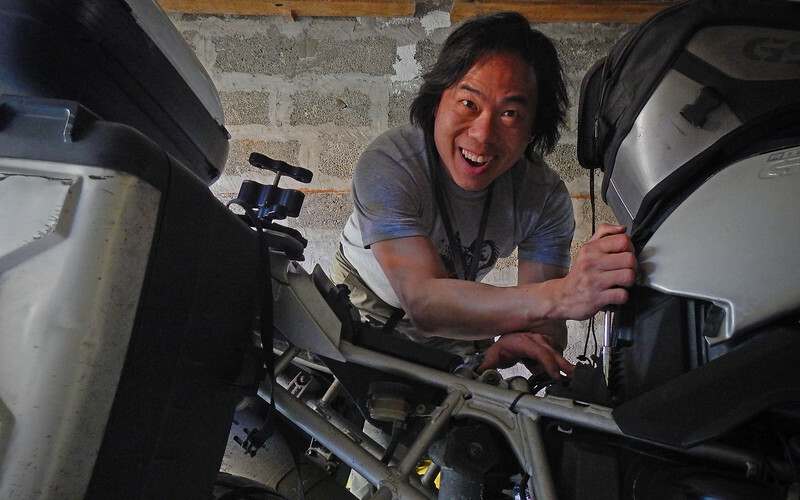 We might be gone for quite a few months so we want to make sure the bikes are going to be okay when we get back. *Hopefully* everything will be okay when we get back. We still don't know what our future is going to look like, but at least we'll have a few months in a much warmer climate to figure it all out. It's interesting to see how our meandering route over the years has taken a couple of drastic turns that we could not have foreseen. Lately, we've been so heads-down on a path that's seemed laid out for months ahead of us and now everything is wide open again. It's very exciting! RideDOT.com winter vacation in Thailand! See you all on the other side of the world!! !